Superintendent Joe Meloche and Assistant Superintendent for Business Lynn Shugars discussed the many items the district could include in a 2018 referendum during the presentation and the necessary steps the district needs to take heading into next year. 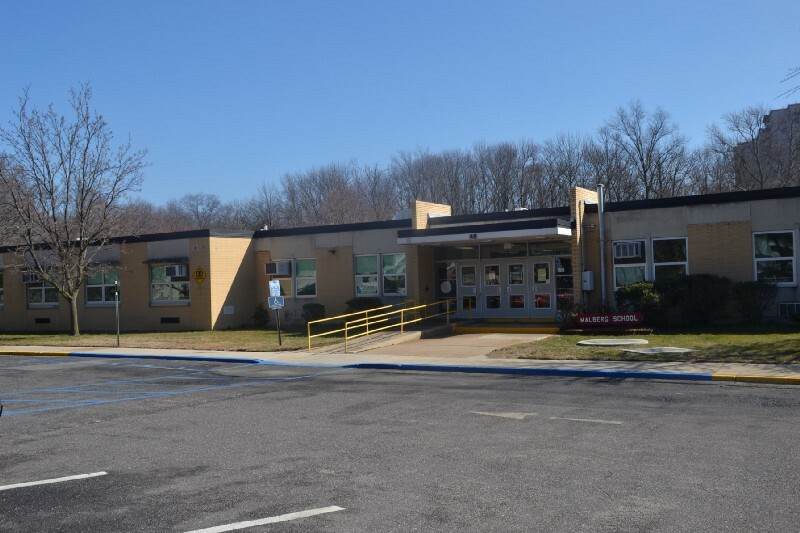 The list of items in the district’s final presentation on the findings of Cherry Hill Public Schools 2020 was a lengthy one. Security upgrades, paving, roofing, bathrooms, cafeterias and kitchens, all-purpose rooms, flooring, electrical upgrades, athletic fields, auditoriums, labs and courtyards were just some of the items listed as needed to be addressed. Superintendent Joe Meloche and Assistant Superintendent for Business Lynn Shugars gave a final presentation on the findings of Cherry Hill Public Schools 2020 at last Tuesday’s board of education meeting and outlined the process the board will go through for the remainder of the calendar year. While the presentation was a broad view of the Cherry Hill 2020, its focus was on a possible district referendum in September 2018 and the items the district might include as part of the referendum. A big reason the district is considering September 2018 for its referendum is its debt situation. Shugars explained the district would have more flexibility with paying off referendum projects beginning next year. The most talked about item in the presentation was security upgrades. Shugars said she felt it was the most important area to address in an upcoming referendum and outlined some of the upgrades the district could make in its buildings. The proposed upgrades included the installation of door access readers to allow staff members to swipe cards to enter buildings, the installation of security camera systems and the construction of entrance vestibules. The construction of vestibules could also lead to main office restructuring in some of the buildings. “When you come into a building, there’s a holding area so that we can see what the person is there for and direct them to the right direction as opposed to letting them have access to the whole building,” Shugars said in explaining the vestibules. The district is trying out some of the security upgrades at Barclay Early Childhood Center. Some of the items, such as the door access readers and an entrance vestibule, are being added to the school this summer and should be completed in October. “We felt that it would be a good school to really implement some of the security measures we would like to see,” Shugars said. Rick Short had spoken about the need for greater school security at past meetings. He asked the district consider additional upgrades, including a way to barricade doors in the event of a lockdown. The district outlined dozens of other facility upgrades as well as curricular items to consider. Meloche cited kindergarten, technology, content-specific areas and hands-on experiences as items to discuss in the coming months. The presentation did not go into detail about full-day kindergarten outside of listing it as an item for discussion in the coming months. Earlier in the spring, the district talked of possibly implementing full-day kindergarten through the changing of two of the district’s 12 elementary schools into full-day kindergarten centers. A number of community members spoke in support of full-day kindergarten at last Tuesday’s meeting, but were against the district’s kindergarten center idea. Resident Jennifer Fisher said she is concerned with the possibility of neighborhoods losing their local elementary school and asked the district to consider other plans. “I’m all for full-day kindergarten, just not this way,” she said. Resident Carolyn Gargaro asked the district to come up with a new idea to implement full-day kindergarten. “Even as a full-day kindergarten supporter, it isn’t worth closing two of our schools, completely re-districting and causing upheaval for all Cherry Hill communities,” she said. Board vice president Eric Goodwin asked Meloche whether the board would have the opportunity to discuss the topic and consider other ideas on how to implement a kindergarten program. Following the presentation, board member Edward Wang asked how much a possible referendum would cost. While Meloche echoed Shugars statement about the district being able to borrow up to $60 million without impacting the taxpayer, he added the referendum amount would be determined following a discussion on the proposed projects, whether the district would to attach multiple questions to the referendum and how much the district decides to borrow. Resident Laurie Neary said she was concerned about how many items were listed in the presentation and questioned how the district planned to tackle it. For a referendum to take place in September 2018, an application must be submitted in March 2018 to the state Department of Education. If the DOE approves the project, the board of education must adopt a resolution authorizing the referendum in either June or July of 2018. Leading up to 2018, the board is expected to adopt a goal in June 2017 and talk about some of the Cherry Hill 2020 items specifically in the months to follow. Meloche said the board would be asked to adopt at Cherry Hill 2020 in January 2018.